If you have invited Alexa to your home and enjoy giving voice commands to program your thermostat or lights, ask music, check who is at your door or any type of control in your smart home, we have good news. Amazon presents you with an opportunity to save money when you add even more devices to Alexa, reducing their prices. Starting this week, the Fire TV Stick with the new control Alexa Voice Remote is available for purchase for only $39.99 dollars. This makes the Fire TV Stick in the only media player in that price range with a remote control that controls other av equipment in addition to the tv, and in one of the streaming device with the lowest price. 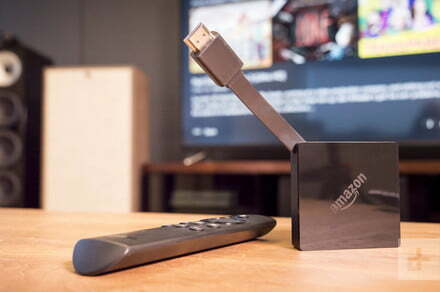 The Fire TV Stick will begin to be sent to customers in the united States, Canada, United Kingdom, Germany, Japan, and India on the 23rd of January, and this is the first time that they are available to buy together in Canada. If you just want the new Remote Control, you can now get a 50% discount when you buy Alexa Voice Remote, which is compatible with the Fire TV Sick, Fire TV Stick 4K, Fire TV Cube and Fire TV of third generation. But you must act fast because this offer is only good while supplies last. With the new remote control, you can ask Alexa to find, start and easily control your movies, series, and favorite TV programs, and the new buttons for power, volume and mute (mute) allow you to control your tv, as well as your sound bar and receiver. In addition, Alexa’s on Fire TV offers a voice experience complete because you can manage your smart home, such as viewing live feeds from your security cameras, monitor the weather, dim the lights, stream music, and more. The Fire TV Stick with the new remote control voice Alexa is the first new device Fire TV that will include IMDb Freedive, which means that you’ll be able to see thousands of hits from Hollywood and TV favorites free from IMDb Freedive, Sony Crackle, TubiTV Pluto TV, and more, all without a paid subscription. It also allows you to browse web sites, and obtain content from YouTube, Facebook, and Reddit. For more information and to make a pre-order Fire TV Stick with the new remote control voice of Alexa, you can visit their official website, and for more information on the new limited-time offer of Alexa Voice Remote, please visit this special site. There are also reductions in the prices of TV Fire Stick and Echo Dot. . The company claims that it has over 30 million active users on Fire TV, and with today’s announcement, it would not be surprising that Alexa will expand to an even greater number of households. Not to be that people prefer the ecosystem of Google for your smart home.